Do you have unseemly dirt, stains, organic growth, or anything else that is causing your commercial property to look dirty and uninviting? We can help. What you need are power and window washing services to remove the unsightly residues that are causing your commercial property to look dirty or poorly maintained. We have served countless clients over the years who had problems just like this and were amazed to see the speed and effectiveness of our power and window washing services. Since our team has all the training and experience necessary to safely power wash surfaces, you can sleep easy knowing that we ensure a clean result without any damage to your property. At Hudson Valley Contracting & DKI, one of our specialties is in power washing. Whether you need your sidewalk, siding, parking lot, fencing, or other hard surface cleaned, we can help. Power washing is very effective at reducing wear and tear on your property because it naturally removes buildup of things such as mold, insects, and abrasive materials. These can cause serious, costly damage over time if not taken care of. Window washing is an essential element of keeping your commercial looking clean and appealing. 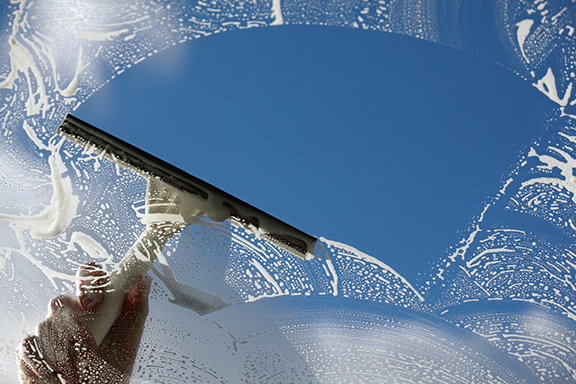 However, it can be difficult to maintain, leaving your windows looking dirty, dull, and gloomy. Hudson Valley Contracting & DKI has all the right equipment and manpower necessary to keep your windows looking clear and new without you having to worry about it. Contact us today for all your commercial cleaning and maintenance needs! © Copyright 2019, Hudson Valley Contracting & DKI. Powered by Spot On Solutions.